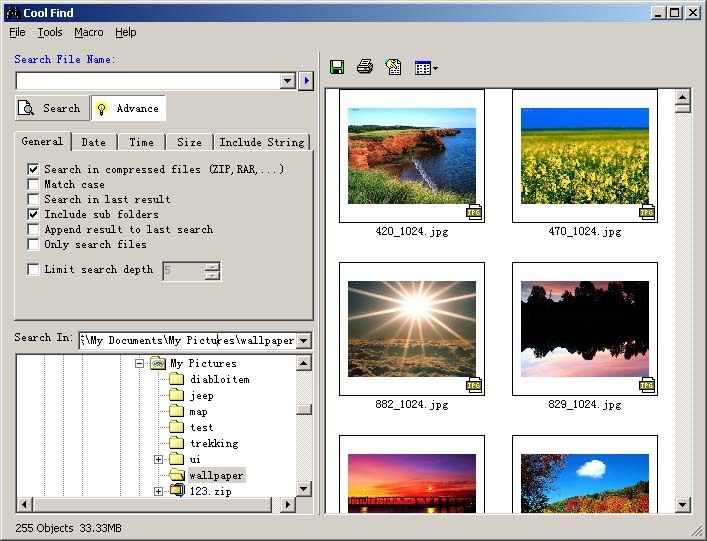 A file search and management software for Windows. Anything you can see in Windows Explorer can be found by Cool Find, including files on PC, LAN and etc. Cool Find can show the summary info of mp3 files, pdf files and office files in search results. Please see file types supported for details. Cool Find can also be used as an Explorer. Press Ctrl key when you select a folder and the files in it will be shown in file list on right .